Founded in 2002, we are a movement of Christian women who are impacting our culture through media. Formerly known as Women in Christian Media, our new name of Christian Women in Media Association better describes who we are. Christian women in media have influence and opportunity to impact our culture for Christ…for such a time as this. Suellen Roberts is known as one of our nation’s prominent Christian leaders, her passion is to positively influence our culture through media. It all began when she founded JOY TV International in 1995 an organization that provided quality faith based television. Roberts went on to produce 3 nationally syndicated television shows including Women of Faith at the Alamodome television special. She also served on the NRB TV Committee for 6 years. Robert’s influence has extended to the mainstream media through ION Television Network where she was station general manager and subsequently became senior vice president of TEB Broadcasting Corporation. Prior to this she garnered her business acumen as an executive with the international House of Gucci. In 2002 Roberts founded Christian Women in Media Association (CWIMA). It started as a fledgling organization and is now reaching around the globe with Roberts at the helm. Her hearts desire is to teach people to know God more intimately as they base their lives on biblical principles. 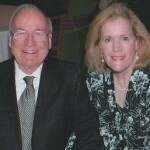 Roberts is married to Jimy Roberts, personal assistant to Billy Graham (retired), they reside in Dallas Texas. Suellen is honored to have a group of dynamic, talented Christian women from all areas of media serving in leadership for Christian Women in Media. Take a moment to see Who’s Who behind the scenes: Honorary Members, Advisory Board, City and National Connection Directors, National Conference Director and the President’s Task Force.